Olympus Imaging Corp. (President : Masaharu Okubo) and Panasonic Corporation jointly announced the Micro Four Thirds System standard in 2008 and have since been working together to promote the standard. Now we are pleased to announce that Jos. Schneider Optische Werke GmbH of Germany and Komamura Corporation of Japan have recently joined the standard and committed to develop interchangeable lenses and accessories compliant with the Micro Four Thirds System Standard. For more than 90 years, Jos. Schneider Optische Werke GmbH has been offering a wide line of high-quality interchangeable lenses under the Schneider Kreuznach brand. Komamura Corporation, a company known for its excellent development capabilities, is a leading provider of camera accessories under the popular Horseman brand. Now, both Schneider Kreuznach lenses and Horseman accessories will be available for cameras compliant with the Micro Four Thirds System standard, leading to a much more diverse product line and further increasing the potential of this advanced digital imaging system. 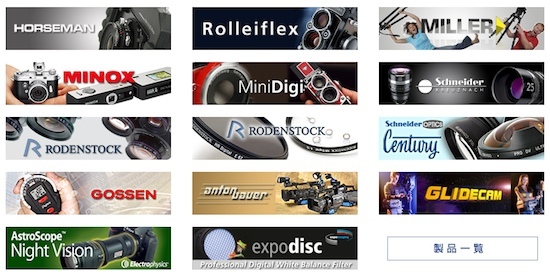 A long-established German lens manufacturer founded in 1913 by Joseph Schneider. It produces high-class lenses for professionals in various fields, as well as a variety of optical products for industrial and medical use. 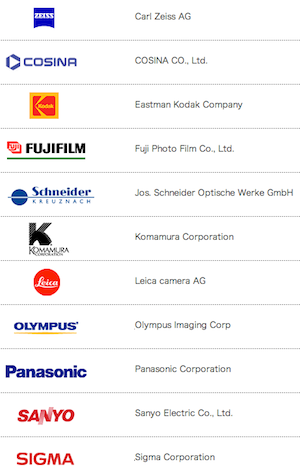 A Japanese camera manufacturer / imaging company founded in 1933 as Komamura Brothers & Co. It develops multiple imaging-associated products including battery systems, color management systems and filters as well as professional-oriented cameras and lenses. This entry was posted in Komamura. Bookmark the permalink. Trackbacks are closed, but you can post a comment.